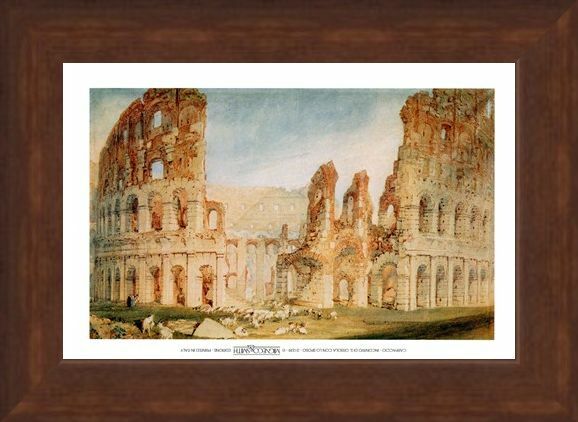 Mini Art Print: The overwhelmingly large and impressive Colosseum in Rome, Italy was the largest built amphitheater in the Roman Empire. 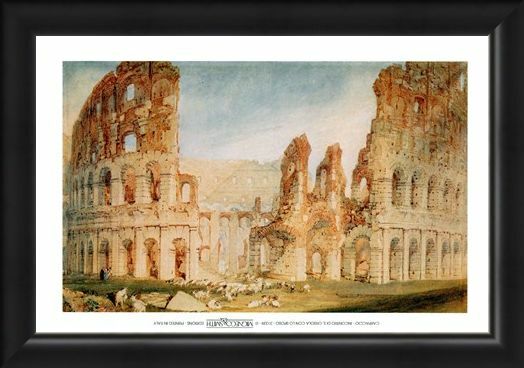 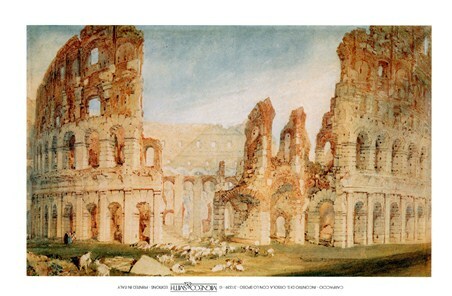 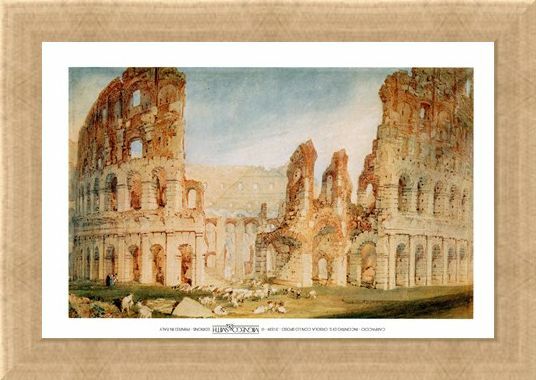 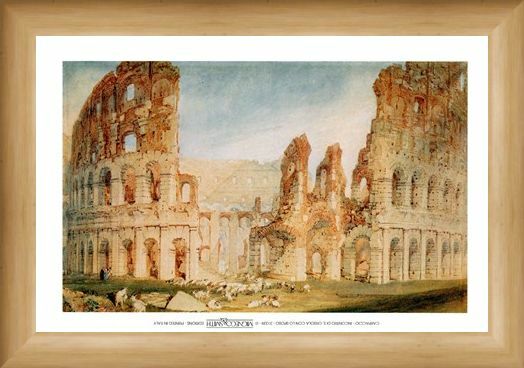 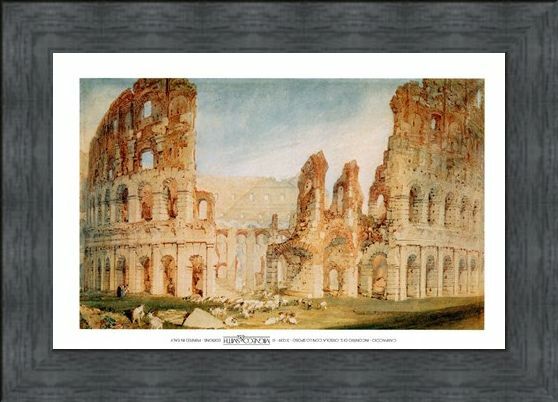 Why not have a piece of Roman history on your wall with this wonderful art print of "Il Colosseo" by the British watercolour and oil artist Joseph Mallord William Turner, who was known for his romantic landscapes. 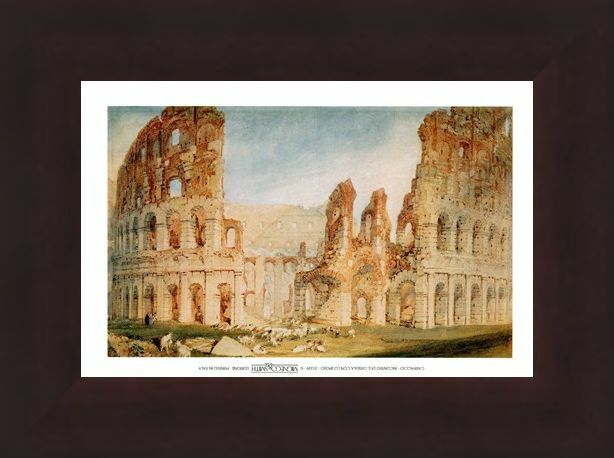 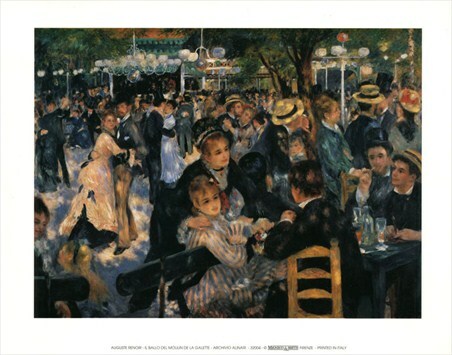 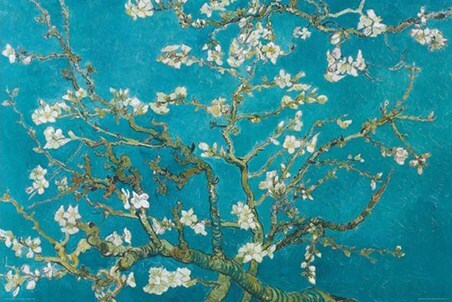 Sometimes called the "painter of light" you can see why as this magnificent painting has incredible use of shading, making you feel you were actually standing outside this monumental structure. 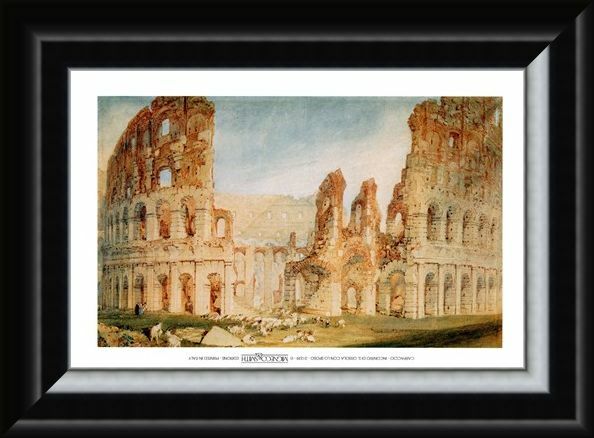 High quality, framed Il Colosseo, Joseph Mallord William Turner mini print with a bespoke frame by our custom framing service.